The Just, Quiet Wind is a little volume of my poems, mostly from 1994 to 2002, with a few recent editorial modifications, all but two of which are published here for the first time (on CreateSpace). The pensive, playful reader will find these imaginative, evocative poems, inspired by texts from the Revised Common Lectionary (Year B), distinctly beyond the liturgical pale, yet just as clearly within conversational proximity to the Scriptures that set them in motion. In case you've never run across this website, Kingdom Poets, by D. S. Martin, you should bookmark it. Martin is providing a rich, valuable service here. UPDATE: Link to Kingdom Poets added at right. Good for Angela Merkel for saying so. I believe in the resurrection ... of the church! Wouldn't it be great if we saw more stories like this? This jobs chart makes both Jimmy Carter and George W. look pretty good by comparison, doesn't it? ... to say nothing of Clinton and Reagan (just trying to be even handed). blogger at The Christian Century, for his kind expression of interest, and his question regarding possible implementation schedules for Year D. The short answer is that I have addressed this in Appendix C of Year D: A Quadrennial Supplement ... . The longer answer is that, while the book bears the subtitle Quadrennial, in fact the alternating option he suggests that retains the three-year "waltz" is one I have included there. The thing to bear in mind if going with a three-year alternating option is that a lot depends on when you begin. For instance, I had a post up a while back (since deleted) that presupposed (as I recall) an Advent 2010 start, since that would have followed on Year C and inserted D in lieu of Year A; thus: DBC / ADC / ABD / ABC. 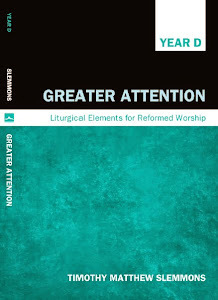 As it turns out, with the publication schedule for the book being Spring 2012, the first opportunity for integration based on the print source(s) would be this coming Advent, which assumes inserting D in lieu of C. Of course, there are a number of ad hoc or local options, too. But if anyone is especially worried about the cost to liturgical unity, I do think the musical/cross-rhythmic analogies (pp. 13-14) are very interesting, esp. when one considers what things might "sound like" from on high, as it were. Thanks again, Steve, for the plug. I hope you like the book. 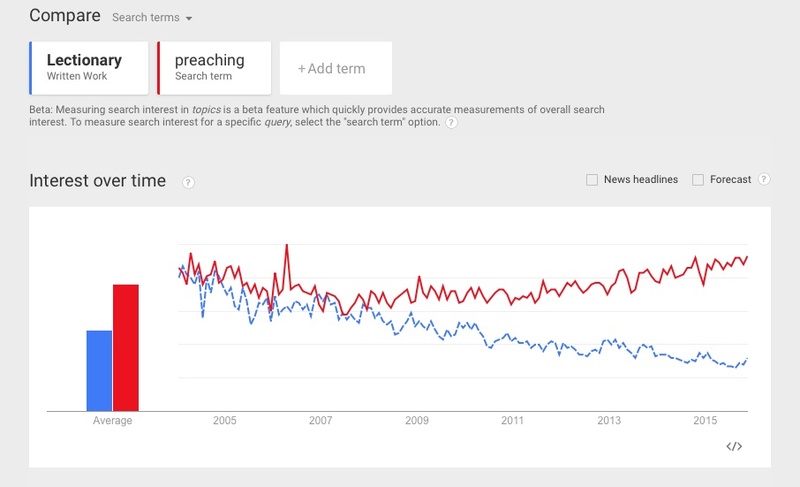 Preachers should really say something about this. "Better to embrace spirituality – the welfare state of theologies. It asks nothing of you but supplies you with whatever you wish." "The answer to 'Where did we come from?' turns out to be some guys who are marginally taller than us and who have the complexion of a back-up singer for The Cure. And we, the audience, are sorry we asked." International visitors to The Year D Project may find the translation widget helpful. See the language selector in the upper left hand corner. It's fast! While I can't guarantee the accuracy or fluency of these translations, I trust they will get you close enough to something that can be deciphered and honed to make these elements suitable for worship. I also hope this handy aid will increase the usefulness of this alternative lectionary year for brothers and sisters around the globe. It's not just the American church that needs these texts to resound anew! 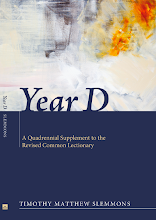 Users of this site and readers of Year D will be familiar with the fact that a third of the Psalms are not represented in the Revised Common Lectionary, but that Year D gives the remaining Psalms a voice. One major problem for worship planning has been the fact that, if you wish to include a Year D psalm in worship, there are few settings of these excluded psalms available, since most recent denominational hymnals have tracked the RCL and favored the same 100 psalms the lectionary does. which contains multiple settings of all 150 Psalms. That is great news for users of Year D, who otherwise must resort to mining gems from the old Psalter hymnals from the late 19th and early 20th centuries. This welcome resource is highly recommended! So highly, indeed, I'm placing a link to it at left, so that it does not disappear down the stack. It is just the sort of thing that renders Year D all the more useable.